If you were having coffee I would ask you what your favorite smell is? Some people like the smell of freshly mown lawn whilst for other that just reminds them of allergies, I know people fascinated by the smell motor oil too…..
My favourite smell, is the smell of the wet earth, when it starts raining, especially after a very long time. Sometimes, if you are lucky, you can catch a whiff of it just before the actual rain reaches you, the breeze, carries with it, the promise of rain. If you were having coffee with me I would tell you that it has a name, it’s called PETRICHOR the scent of the rain. The word is a combination of the greek words Petra– which refers to rock/stone and ichor which means the fluid that flows in the veins of the gods. 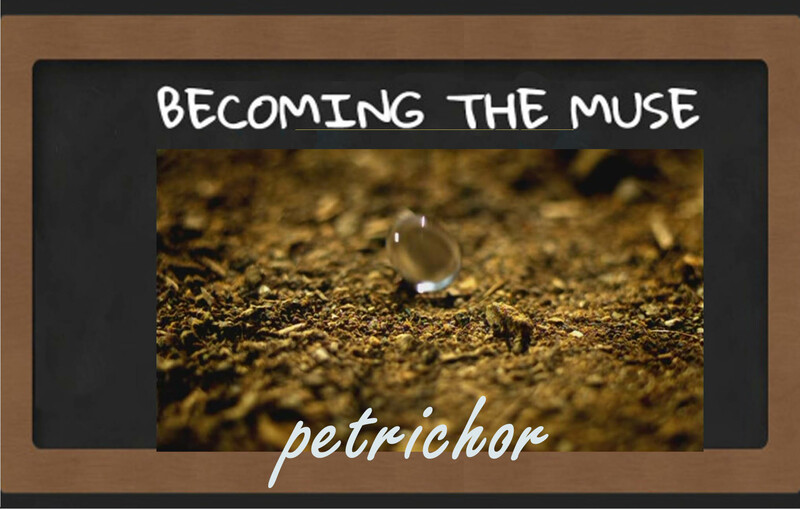 Petrichor is the blood of stones, you can reproduce the scent by distilling rocks exposed to warm, dry conditions, and you get a yellow oil with this smell, this is whats flushed out when it rains, mingling with wind and rain combined with other things, to give you that after rain perfume. According to science we are predisposed to like this smell from the time in history when our ancestors were highly reliant upon rain for their survival. We acquired a tiny generator so could have a few hours of electricity in the evenings and it seemed like a good idea until we tried to get fuel for the generator. There is a current fuel shortage even though the government says there isn’t and they blame people who hoard fuel for being the cause behind the shortages and to that effect proposed to ban people who buy fuel from service stations in jerry cans and other containers. If you were having coffee with me, I would tell you that we had to actually carry the generator in a cousin’s car to get it to the fuel station because of that crazy imposition. Sometimes the policies the government comes up with aren’t quite thought out although I like to think they have some good intentions but of course hats what its paved with, the road to that place before you start looking at us like that guess what they have changed their position and “lifted” the ban, but they still encourage responsible buying of not just fuel but basic commodities. If you were having coffee with I would tell you the rain did bring some good vibes too which is that the mulberry tree is bursting with ripeness and offer you a snack for coming to visit, mulberries remind me of being a child again and the purple stains on my fingers and the soles of my feet. PS After five days of no electricity the power supply seems to have been restored but it looks like its about to rain again………..
You can bottle the fresh rain smell?! Wait, what?! You can bottle the fresh rain smell? Oh my God! I’ve just remembered the movie “Perfume: The Story of a murderer.” Must watch! its a classic!!!!! Its based on a book and yep I read that too ha! I like that rain smell too. It’s my favorite smell. It always smells like baked Ghanaian bentonite clay to me. And now I know the name. I love the smell of rain, I can usually smell it before it arrives. That is a huge fuel queue, I hope the economic issues in Zim improve. We have issues with Eskom in SA too and we’ve bought an inverter for any load shedding. Of course it still needs mains power to charge the batteries so we will be buying a generator soon. The fuel queue are totally crazy and imagineits quite possible that the fuel will run out before you reach the pump but you wait anyway cause nothing better to do. Totally agree, building houses with solar panels on the roof is such a good idea. We want to be off Eskom soon, we still need to look into solar though. I love the smell of rain, especially how the sage brush in the desert smells after the rain, or early in the morning when the earth is still damp. To me that is the scent of life, and freedom. (I can do without the power outage though). We had a crazy, loud thunderstorm last night. It kept me awake, but in a way I enjoyed it. I like the cooler season, It’s refreshing. I hope you’re having a great weekend. Thanks for an inspiring post. Oh wow, hoping you don’t lose power again. Five days! 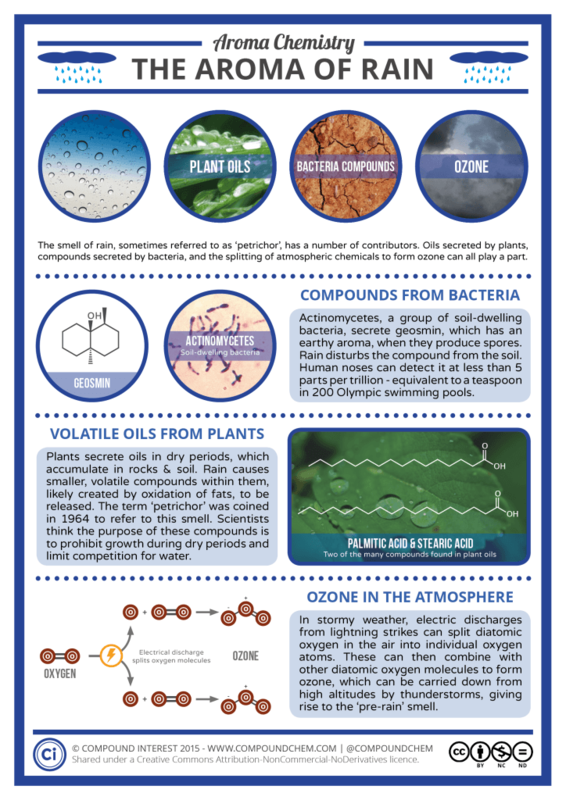 Very cool infographic – the smell of the rain isn’t my favorite but it’s interesting to read how to reproduce it! I’d say campfires and racing fuel would be my favorites. And the mulberry tree! I grew up with one in my front yard and have so many memories of purple feet. Thanks for taking me back! hahahahahaha sometimes they come back!!!!! Wow, your post just transported me from my room in Darfur to my childhood home in Bulawayo. I can smell the rain and taste the mulberries in my mind. They also bottled the smell in a Doctor Who episode, or at least Petrichor was the name of the perfume that Amy ran an advertisement for. My favorite smell, as odd as it seems, is the smell of a dentist’s office. It smells very clean to me and is soothing. See you around the coffee share! Petrichor is my favorite smell. Been saying it for years. Thanks for the lesson, I didn’t know what it was called but I really love it. The aroma actually makes me want to eat mud ( crazy I know). I crave the taste of the soil from termite hills apparently medically it means I have low iron or something. I love the smell too but allergy won’t let me savour the natural aroma. We’ve been there about the electricity issues and the fuel issues. Our raining season is folding up as yours begins. Do enjoy it. We usually have fuel scarcity mostly at the end and beginning of the year. I pray we have a different story this year. Atleast for the campaigns going on before the next year’s election. Call it a bribe all the same it be a great relief. The smell of fresh rain is great, I’m just sorry that it brings up thoughts of power outages to you! Hope you fare better after this rain and that you have a great week ahead! This post ,like the smell of rain, was very refreshing and an easy read too. And that fuel que, my gosh; that looks horrible! Where did all the fuel go?